Welcome aboard our 60' luxury sport fishing yacht OH BOY, or our 34' crusader LAST DOLLAR. 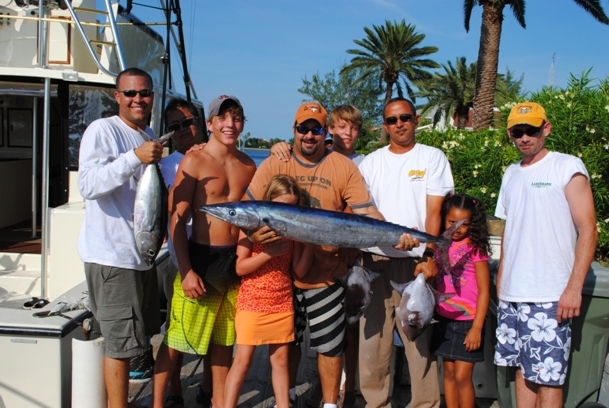 OH BOY is a top of the line sport fishing yacht that is fully equipped for the professional angler. OH BOY is also an excellent family yacht for your half day and full day snorkeling charters. 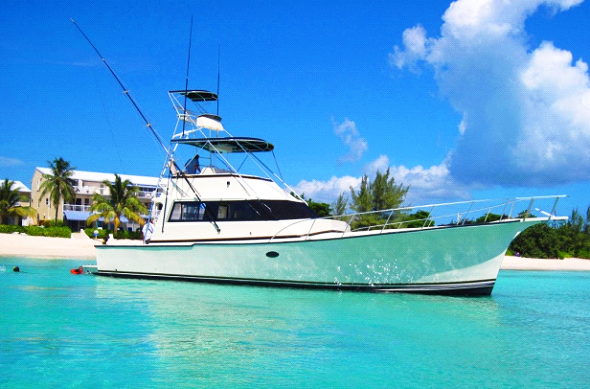 For our smaller groups our 34' crusader is also nicely equipped for reef fishing and your personal snorkeling charters. 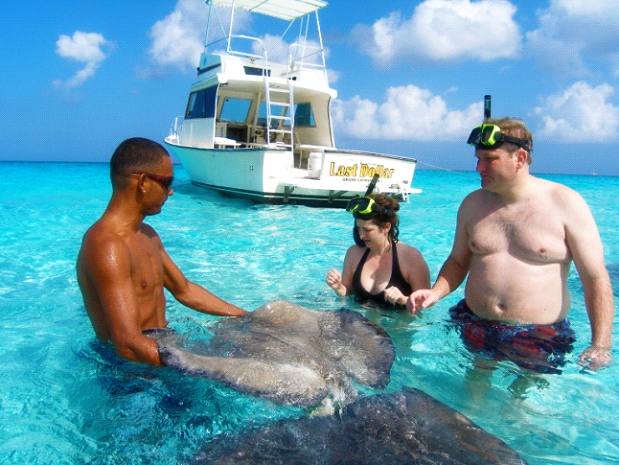 The three islands of Grand Cayman, Little Cayman and Cayman Brac combined are the Cayman Islands and this British colony is world famous for its' deep sea fishing, Sting Ray City snorkeling, diving and perhaps most popular: Stingray Sandbar. Founded by Capt. 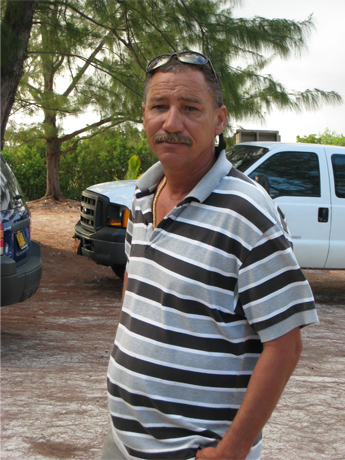 Alvin Ebanks, Oh Boy Private Charters is a family owned and operated business that has been providing the ultimate fishing, snorkelling and charter experience since its inception in 1995. We accept all major credit cards or pay cash and recieve a 5% discount. Capt. Alvin conceived Oh Boy Private Charters to provide the quality of customer service required to create a repeat-customer-based fishing and charter business in Grand Cayman (Cayman Islands) that would be dependent primarily on word-of-mouth advertising. And we have done just that! An estimated 75% of our business is repeat-customer generated and 85% of our new customers are recommended by word-of-mouth. That says a lot for us. And we're working hard to improve these figures….Starting with you. Our fully refurbished top of the line 60' custom built sport fisher "Oh Boy" is suitable for all the activities that we offer, but is used primarily for deep sea fishing. For our smaller groups we have our 34' Crusader, "Last Dollar" for reef fishing and snorkelling. Both boats are available for private charters. 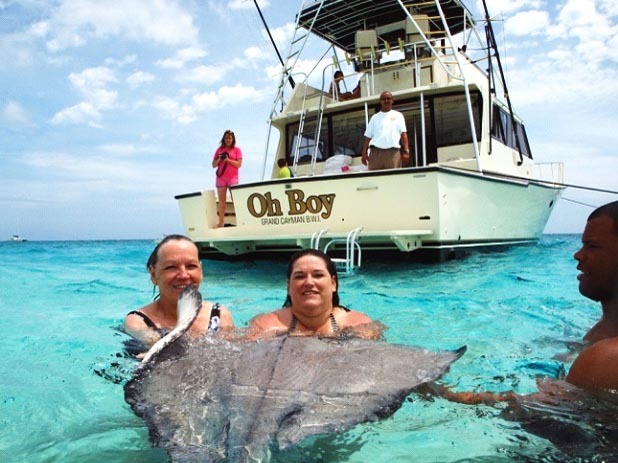 So, if it's deep sea fishing, reef fishing, Stingray City snorkelling or a Cayman Islands private charter that you would like to experience, Oh Boy Private Charters is here to cater to you in every aspect, ensuring that your adventure is truly recommendable in Grand Cayman. Snorkel equipment and vests, fruit punch, water and round trip transportation to and from your hotel or cruise pier are provided complimentary to each tour. Click on one of the links to find out more about our various tours, or make a reservation. Ask about the ability to add a Jet Ski to your Private Charter.